Interior redesign services are meant to serve a very specific purpose. They are either meant to spruce up a home prior to that home being sold, otherwise known as home staging, or they are meant to make the people who are currently living in a home feel as though their home is “theirs.” When people first move into a new place, the change from feeling “at home” versus feeling “away from home” can be overwhelming. It takes time to get used to any new living space – all the more when you’ve moved to a new country. Fortunately, interior redesign services are there to help ease your transition. 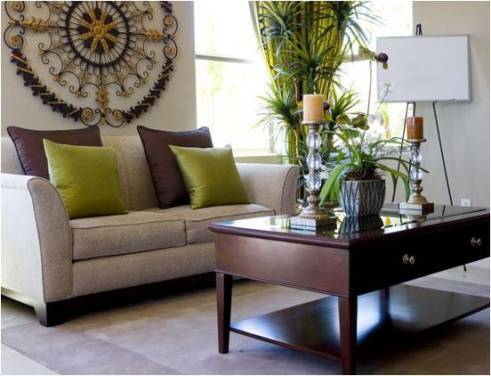 A good interior design company will survey your house or apartment from top to bottom. They will look at the colors, styles and themes throughout your home and aim to create consistency and cohesion within the home. This can include anything from suggestions on updating wallpaper, paint, and flooring, to changing the placement or repurposing the furniture and accessories which are currently in the home, to personal shopping for new items to update the home – giving it a fresh new look according to your personal taste and personal style. Dubai is one of the most glamorous cities in the entire world. A modern, cosmopolitan city situated within a dessert – beauty, luxury, and opulence pooled from all over the world are what differentiate this modern, multicultural city from other urbanized metropolitan areas such as Miami and Las Vegas, which Dubai is often compared to. British expats can find the comforts of home while shopping at Waitrose grocery store and from many UK clothing brands. Gulf region expats can relate to the comforts of the Middle East while still experience the luxuries found in Europe and the United States. The city’s inhabitants whether local or expat are always seeking out the best of the best from cars, clothing, and fine dining, to living in luxury homes and condominiums. Therefore it should come as no surprise that interior redesign services are available in Dubai. Although Dubai has many large, multinational interior design firms which work with hotels and luxury serviced apartments, they have few multinational interior redesign firms that focus on the homeowner or expats who may be transitioning from older homes that were more traditional or rustic in another country to a home that is more modern and contemporary in Dubai. Moreover many individually owned interior redesign firms in Dubai lack the diligence, expeditious execution, and quality control of a company with strong brand recognition. Choose a company that has a good reputation. Choose a company that focuses on customer service, attention and satisfaction. Choose a company that is well established in the industry and ideally has a global presence. Do not choose a company that just went into business recently, try to find one that has been in business for at least five years. Make sure the company that you are looking at has a good portfolio. Choose a company that may provide ancillary services to interior redesign such as real estate consulting services and personal styling services in order to truly project a cohesive image of style and luxury from the home you live in, to your interior décor, to the clothing that you wear.